Nanny Classifieds » New Year – New Opportunities! Which Nanny Industry Conference Should I Attend? New Year – New Opportunities! Which Nanny Industry Conference Should I Attend? As nannies, continuing our education is critical to stay abreast of new trends and information in our industry. We are fortunate to have many options to choose from and there is something to fit every budget. In addition to local nanny group offerings, webinars, podcasts and local educational opportunities, these five events should be considered as a viable education option for any professional caregiver. First time attendees can take 50% off registration rates. For 29 years, the INA has hosted an annual conference. 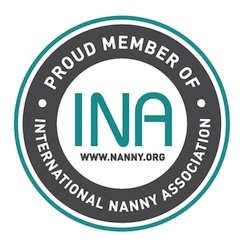 In addition, they honor a new Nanny of the Year, introduce a new board of directors and honor INA Service Award Pin recipients with their industry pin. National Nanny Training Day events are being planned in cities across the country. Each event must focus 50% of its curriculum on child development. Many are being hosted by local nanny groups or agencies, with fees ranging from free – $50 per person. Don’t let the name deceive you. DEMA is open to nannies, nanny managers, personal assistants, household/estate managers, butlers, chefs and much more. Another intensive educational opportunity, the DEMA conference also provides networking and the opportunity to meet directly with recruiters and job placement services. In addition, many industry awards are given out to deserving recipients. Nannies from across the country gather for a weekend of education, networking and friendship. This event gets better and better each year it’s held, and this year promises to offer new and exciting opportunities to attendees. NAEYC brings together all aspects of early childhood education. Nannies have been a frequent participant for many years, not only as attendees but also as presenters. Furthering your education not only provides you with additional tools and resources that you can bring to your job, but it also gives you negotiating power when taking a new position or requesting a raise. Improving and empowering yourself with a little time and investment can help you earn a higher salary and a higher respect from your employers.